The events of the past year and the day that we are going to celebrate is the most memorable day in the history of the newly independent Armenia after Independence Day. This is what Armenia’s Minister of Education and Science Arayik Harutyunyan said on 21 March, commenting on the government’s decision to set the last Saturday of April as Citizen’s Day. “We have recorded it, but we’re not specifying the date. 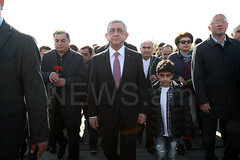 If any future government wishes to specify the date, it can feel free to do it,” Harutyunyan said. 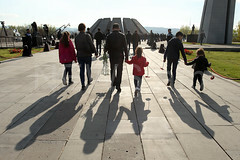 When asked if the day of Serzh Sargsyan’s resignation is really a day to celebrate, Harutyunyan said he believed the most massive events took place on 23 April and 2 May.